New York based product, service and experience designer with wide-ranging international background in research, strategy and development in sectors including financial services, telecommunications, and public health. 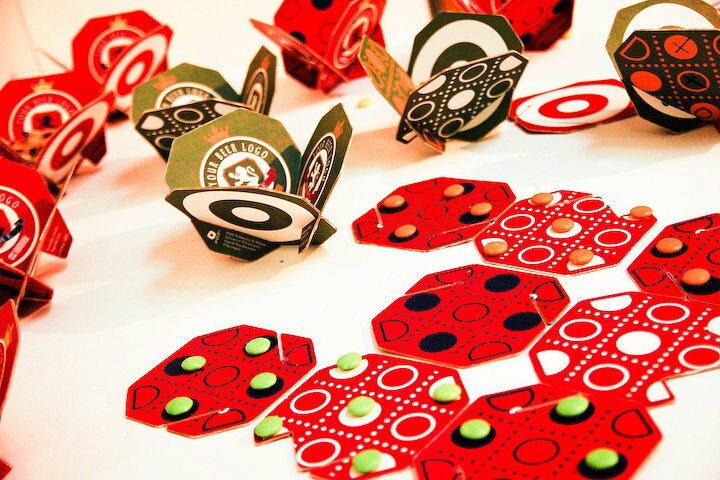 Specialized in human-centered design and co-creativity. Skilled at applying design methods and aesthetics to intangible and complex services. Currently working with corporate and non-profit organizations developing their strategies to understand their users and provide solutions and new experiences for them. Former co-teacher of the Integrated Design Program course “Service City” at Parsons The New School for Design. Some of the partner and clients. as a professional category runner up. Designing for Financial Empowerment Project with Parsons DESIS Lab was honored with notable mention at C77DA 2016 in Service Design category. "We experience services every day — from buying health insurance to filing tax returns. A service is an exchange of goods or value. A complete service includes designed or planned interactions among people, products, and processes in various places and over time. We often encounter a service (like visiting the DMV, renting a car, or using a bike share) where only some parts of its service touchpoints are designed with clear intention and purpose. In fact, most services we have today kind of just "happen” and aren’t consciously designed even though about 80% of our economy is services. Service design is the process of planning and organizing the people, infrastructure, communication, and physical components involved in a service. It's a collaborative and participatory practice in which citizens, experts, community-based organizations, and governments work together closely to create and deliver better public services. Deliberately designing services in this way, ensures that the experience and value of the service meet the needs of both citizens' and providers." Sketching a journey map as a team. Most of our projects start with a research / discovery phase. The depth and methods of this phase depend on the budget, timing and the client / partners' availability. During this phase we use similar methods to scientists' - such as interviews, observations and literature reviews. But our focus often differs from academic researchers. We focus on specific interactions and experiences to gather insight for a particular service innovation. As most of service design processes are iterative, research continues even after the initial designs created. One of the unique tools that service designers and some user experience researchers use is the collaborative design. Most of the time, systems are effected by several decision makers and they effect many different stakeholders. When we dedicate some time and space to co-design; inviting users, service providers and experts - whenever appropriate - , allows us to understand multiple perspectives, create holistic solutions to systemic problems and ensure that our proposals are driven by genuine needs rather than our own preferences. Visualization of service offerings of an agrotourism farm in south of Milan. The prototyping phase is when we begin to "try out" the ideas generated during a project in order to see how they look, feel, and function outside of our heads and in the real world. This typically involves mocking-up interfaces, role-playing interactions, and engaging with potential users and other stakeholders to understand how they experience the new service(s) we are developing. Until we start to build, enact, or otherwise realize our designs in this way, we can only speculate about how they might actually work -- and how they could work better. Services are multi dimensional complex systems. They exist only with people interacting with them. There are actors, locations, timeframes, constantly changing contexts and priorities. In order to make decision and test those decisions in this kind of complex structures, we need to take a slice of the whole and have a look at the 2 dimensional representation of the situation. This way, every stakeholder included in the process can see flows, problems and opportunities more clearly, and join the decision making process with confidence. 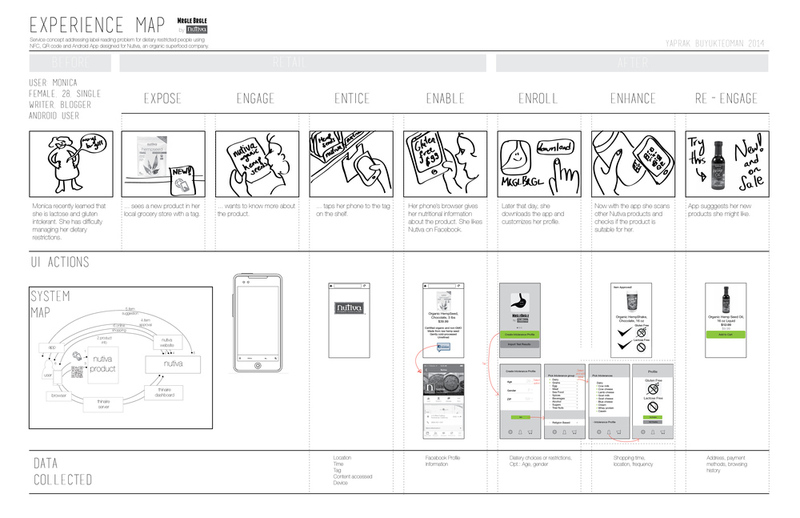 Each visualization; journey map, storyboard, system map focuses on a limited number of variables and ignores other dimensions to make the complexity clear. So it reflects the perspective of the maker. Just like how surface of the planet is actually stretched by the cartographers while making a world map. Born and raised in Istanbul, Turkey. Lived and studied in Milan and New York. Decided to be a designer at age 8. Graduated the Industrial Design BA with honors. Holds a Master of Science degree in Product Service System Design from Politecnico di Milano. Was awarded a scholarship to study in New York at Parsons Transdisciplinary Design Program. Worked on wide-ranging projects gaining visualization, production, project management and team building skills. Certified and experienced in yoga and meditation instruction. Curious about daily routines of creators and dynamics of successful (and failing) teams and constantly researches and tests new ways for improving creative collaboration.